The Book of Amos is a prophetic book of the Hebrew Bible, one of the Twelve Minor Prophets. Amos, an older contemporary of Hosea and Isaiah, was active c. 750 BC during the reign of Jeroboam II, (786–746 BC) making the Book of Amos the first biblical prophetic book written. Amos lived in the kingdom of Judah but preached in the northern kingdom of Israel. His major themes of social justice, God's omnipotence, and divine judgment became staples of prophecy. Amos was a prophet during the reign of Jeroboam ben Joash (Jeroboam II), ruler of Israel from 793 BC to 753 BC, and the reign of Uzziah, King of Judah, at a time when both kingdoms (Israel in the North and Judah in the South) were peaking in prosperity. He was a contemporary of the prophet Hosea, but likely preceded him. Many of the earlier accounts of prophets found in the Tanakh are found within the context of other accounts of Israel's history. Amos, however, is the first prophet whose name also serves as the title of the corresponding biblical book in which his story is found. Amos made it a point that before his calling he was a simple husbandman and that he was not a "professional" prophet of the prophetic guild, but modern scholarship points out that he was educated, literate and likely an affluent land owner rather than a small shepherd. The book was probably updated by later editors, who added material concerning the fall of Judah to the Neo-Babylonian Empire, which had not yet happened in Amos's lifetime; the passages concerning this event can be distinguished stylistically from the older parts of the text. Amos prophesied in "the days of Uzziah, king of Judah, and Jeroboam son of Joash, king of Israel". This would place his ministry between 767 and 753 BC. but a historically verifiable earthquake happened two years after he began to preach, and so it is possible to place Amos's ministry more precisely between about 765 and 760 BC. Leading up to this time, Assyrian armies battled against Damascus for a number of years, which greatly diminished Syria's threat to Israel. As a result of the fighting amongst its neighbors, Israel had the benefit of increasing its borders almost to those of the time of David and Solomon. It should also be noted that Amos preached about two years before a very large earthquake, and made reference to it twice in his book. Zechariah (Zechariah 14:5b) remembers this earthquake over 200 years later. 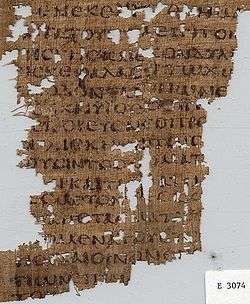 Some scholars believe that Amos' message was recorded after he delivered it to the Northern Kingdom, upon returning to his southern homeland of Tekoa, a town eight kilometres south of Bethlehem. It is mentioned many times in the Tanakh (Joshua 15:39, 2 Samuel 14:9 and 23:26, and 1 Chronicles 11:28). Rehoboam is reported to have fortified Tekoa along with other cities in Judah in 2 Chronicles 11:5–6. There are some differing opinions as to the location of the Tekoa Amos was presumably from. It is believed by most that Amos was a southern farmer who chose to deliver his prophetic message in the North. However, some believe that Amos was actually from a Tekoa in the North, near Galilee. They believe that it is more probable that Amos was from the North because it has conditions more suitable for the cultivation of sycamore figs than the Tekoa of the South. Sycamore figs grow at a low elevation, lower than the Tekoa of Judah, which is at a relatively high elevation of 850 metres (overlooking both Jerusalem and Bethlehem). Others have discredited the theory about the Galilean Tekoa, citing that the difference in elevation between the two locations is not significant. Scholars in support of the idea of Amos being from the North also say it makes more sense because of Amaziah's accusation of conspiracy found in chapter seven, verse 10. A conspirator, they argue, is more likely to be a national. Two other opinions of where Amos' writings were recorded deserve mention. They are that 1) disciples of Amos followed him and recorded his message and 2) that someone in his audience in the North recorded his message. Amos prophesies in a dramatic tone against common crimes and injustices such as bribery and greed. The wealthy elite, Amos laments, are becoming rich at the expense of others. Peasant farmers who once practiced subsistence farming are being forced to farm what is best for foreign trade, mostly wine and oil. (Amos 6:6) As Y. Kaufmann has observed, the book elevates social justice and morality above cultic practice and ritual observance, but unlike later prophets, Amos does not fully reject the Yahwistic cult, meaning that his views are similar to those of the Priestly source. God speaks to Amos, a farmer and herder, and tells him to go to Samaria, the capital of the Northern kingdom. Through Amos, God tells the people that he is going to judge Israel for its sins, and it will be a foreign nation that will enact his judgment. The people understand judgment as the coming of "the Day of the LORD." "The Day of the LORD" was widely celebrated and highly anticipated by the followers of God. However, Amos came to tell the people that "the Day of the LORD" was coming soon and that it meant divine judgment and justice for their own iniquity. Amos is the first prophet to use the term "the Day of the LORD". This phrase becomes important within future prophetic and apocalyptic literature. For the people of Israel "the day of the LORD" is the day when God will fight against his and their enemies, and it will be a day of victory for Israel. However, Amos and other prophets include Israel as an enemy of God, as Israel is guilty of injustice toward the innocent, poor, and young women. To Amos "the day of the lord" will be a day of doom. The book of Amos has three major sections plus an epilogue. Chapters one and two look at the nations surrounding Israel and then Israel itself through an ethical lens. Chapters three to six are a collection of verses that look more specifically at Israel's transgressions. Chapters seven to nine include visions that Yahweh gave Amos as well as Amaziah's rebuke of the prophet. The last section of the book (7:1 to 9:8), commonly referred to as the Book of Visions, contains the only narrative section. In the first two visions, Amos is able to convince God not to act out the scenes of discipline presented to him. The ideas of discipline and justice, although not enacted here, correspond to the central message in what some refer to as the Book of Woes (5:1 to 6:14). This message can be seen most clearly in verse 24 of chapter five. The plagues in the preceding chapter, chapter four, were supposed to be seen as acts of discipline that turned Israel back to God. However, the people did not interpret the acts this way, and the discipline turned into judgment for the people's disobedience. In the second set of visions (7:7–9) there is no intercession by Amos, and God says that he "will never pass by them again." The plight of Israel has become hopeless. God will not hold back judgment because Israel refuses to listen to the prophets and even goes so far as to try to silence them (2:12, 3:8, 7:10–17). The central idea of the book of Amos is that God puts his people on the same level as the surrounding nations – God expects the same purity of them all. As it is with all nations that rise up against the kingdom of God, even Israel and Judah will not be exempt from the judgment of God because of their idolatry and unjust ways. The nation that represents YHWH must be made pure of anything or anyone that profanes the name of God. God's name must be exalted. Other major ideas in the book of Amos include: social justice and concern for the disadvantaged; the idea that Israel's covenant with God did not exempt them from accountability for sin; God is God of all nations; God is judge of all nations; God is God of moral righteousness; God made all people; God elected Israel and then liberated Israel so that He would be known throughout the world; election by God means that those elected are responsible to live according to the purposes clearly outlined to them in the covenant; if God destroys the unjust, a remnant will remain; and God is free to judge whether to redeem Israel. Scholars have long recognized that Amos utilized an ancient hymn within his prophecy, verses of which are found at 4.13; 5.8–9; 8.8; 9.5–6. This hymn is best understood as praising YHWH for His judgment, demonstrated in His destructive power, rather than praise for creation. Scholarship has also identified 'Sumerian City Lament' (SCL) motifs within Amos and particularly the hymn, offering the possibility that Amos used SCL as a literary template for his prophecy of Jerusalem's destruction. The Amos hymn has also been discussed in terms of a 'covenant curse' which was used to warn Israel of the consequences of breaking the covenant, and in particular a 'Flood covenant-curse' motif, first identified by D.R. Hillers. Recent scholarship has shown Amos' hymn is an ancient narrative text, has identified a new verse at 7.4; and has compared the hymn to the Genesis Flood account, and Job 9:5–10. 1 2 3 4 Hayes, Christine (2006). "Introduction to the Old Testament (Hebrew Bible) — Lecture 16 - Literary Prophecy: Amos". Open Yale Courses. Yale University. ↑ Coogan, M. A Brief Introduction to the Old Testament: The Hebrew Bible in its Context. Oxford University Press: Oxford, 2009. pp. 258–259. ↑ Anderson, Francis I. & David Noel Freedman, Amos The Anchor Yale Bible, vol. 24A, New Haven: Yale University Press, 2008. 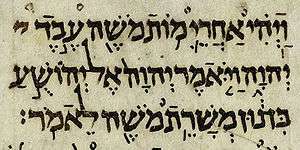 Pages xxv–xlii. Paul, Shalom M. Amos: A Commentary on the Book of Amos. Hermeneia. Minneapolis: Fortress Press, 1991.